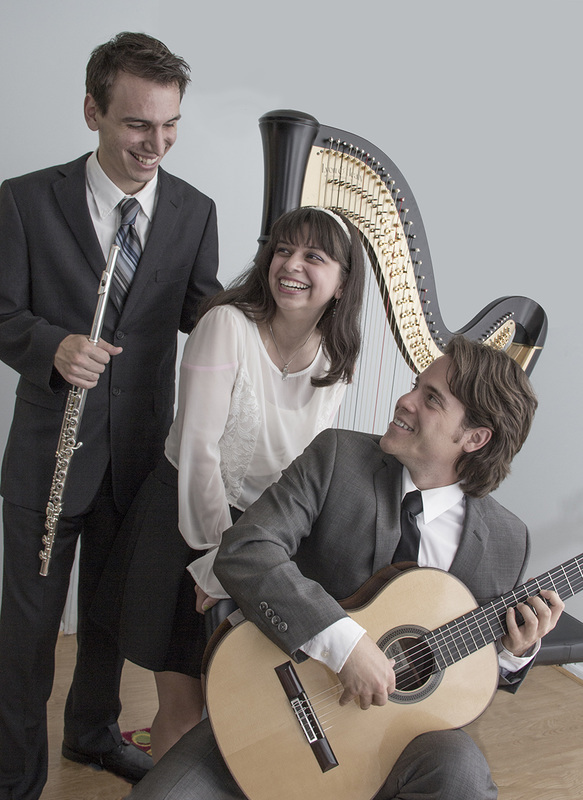 All three members of Trio Delphi met and graduated from Adelphi University. It is for this reason that the name Delphi became appropriate. The actual location of Delphi in Ancient Greece was dedicated to the god Apollo who was the god of the sun, prophecy, and music. It is because of this additional association that we couldn't think of anything better to call ourselves. The name hints towards where we met and our devotion to music all in one word. We all met during different times at school but on one fateful day a flautist, a harpist, and a guitarist were all needed for a performance of an original work being performed at a local church. The piece is called "7 Meditations On Tibet" by Carman Moore. It is an atonal work that consist of seven different movements inspired by the different spiritual observances in Tibet that Moore studied. The three of us were selected to do the performance and we worked so well together that we knew we had to make this a frequent occurrence. It was such a unique combination of tones that we wanted to try and bring our sound to all who would listen.